Here's everybody's favorite Nightmare on Elm Street! FREDDY! EGADS! 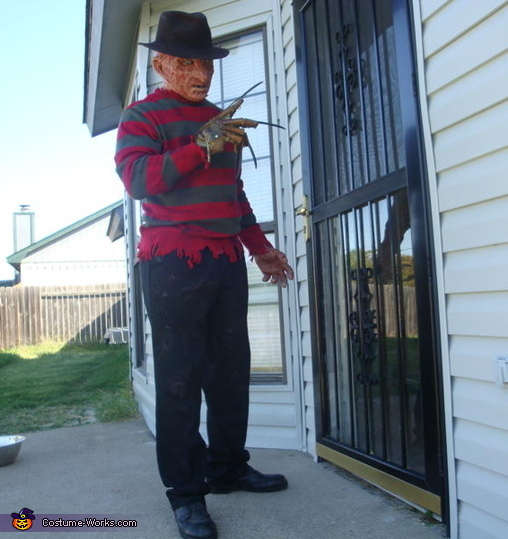 This die-hard Freddy Krueger fan collected props and costume/mask pieces from several independant stores and designers in order to come up with this Movie Quality Costume for us to enjoy. A really REALLY scary and Movie worthy Freddy!